So no-chill brewing is bad? The no-chill procedure is not the problem. The risk only develops if you store your wort for longer than a couple days without pitching. Also, everything in this article applies to improperly canned starter wort as well. Where did you get your ideas? What do the experts say? What about wine or mead? Wine and mead must isn’t even boiled . . . and you can’t give honey to babies because it has botulism spores in it, right? The pH of both wine and mead musts are below 4.6 initially, and won’t support the growth of C. botulinum. How can babies be poisoned by honey, but not adults? The gastrointestinal tracts of babies do not yet have a full complement of bacteria, and the botulism bacteria can colonize sections of their lower gut and kill them. What about liquid malt extract? Liquid malt extract is approximately 80% solids. 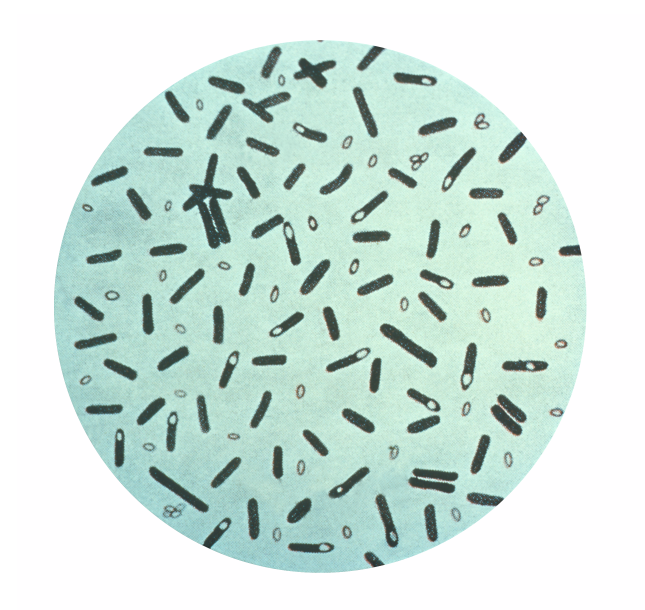 There isn’t enough water activity to support the growth of botulism (or most other spoilage microorganisms). What about those beer kits that are just packaged wort? This is a great question. To get an answer, I spoke to Tim Vandergrift. When Tim worked at WineExpert, he helped develop their line of Baron’s Beer Kits. These kits contain 7.5 L (2.0 gallons) of concentrated wort, which is diluted to 23 L (6 gallons) in a sanitized fermenter and pitched with yeast. These kits are stored, unrefrigerated, on the shelves of homebrew shops until they are used. When developing these products, botulism was a primary concern. To make the wort safe, it was subjected to two Pasteurization runs — the first to activate any botulism spores that might be present, and the second run to kill the active bacteria. What about sour beers that are “pitched” by exposure to airborne microorganisms? As long as they start fermenting within 3 days such that the pH of the fermenting beer drops below 4.6, they will be fine. Commercially, sour beers that are spontaneously fermented are left to cool overnight, where they are inoculated by airborne “bugs.” But they are then pumped to barrels, where yeast and bacteria from previous fermentations are present. What about E. coli and other pathogens? Strains of pathogenic E. coli, and many other bacterial pathogens are killed by boiling temperatures. There are a few other sporulating bacteria, such as some species of Bacillus that can cause illness in humans — and will grow under the same conditions as C. botulinum — but botulism is the biggest concern. What about adding Campden tablets? Will they kill botulism spores? Campden tablets are used to sanitize wine musts. They are not effective at wort pH (or even beer pH). But the risk is low, right? We all take risks everyday, don’t we? We do face risks every day, but we can be smart about managing risk. The risk of botulism poisoning is low, but the consequences when it does happen are very high. Botulism can kill you. In addition, you can eliminate this risk simply by pitching your yeast the next day. You’ve got everything to gain — including your health, and a beer to toast your good health with — by pitching your yeast promptly. There is nothing to gain by letting it sit, or at least nothing you should risk your life over. We do face risks everyday, but intelligent people avoid deliberately taking big risks that provide no benefits. In addition, homebrewers frequently share their beer with others. It is one thing to assume a risk for yourself, but it is unacceptable to put someone else at risk without their knowing it. If you make a beer from wort that has been stored for awhile, you should not give it to others (or send it to a homebrew contest). Homebrewing is a fairly safe hobby. There are risks of being burned or scalded. There are risks of inhaling fumes from cleaning chemicals. In commercial brewing, there are added risks — for example, of suffocating by entering a tank filled with CO2. However, these risks are low and manageable. And, there is a point to taking the risk — you need to produce beer. In my opinion, there’s no good reason to risk your life so you can have a cube (or an improperly canned yeast starter) on hand. Thank you for your excellent article! I appreciate all the research you put into it. It is a very timely article for me personally. I had been thinking about no chill brewing for some time now and wanted to give it a try, mainly for two reasons: (1)Time and (2) Water usage. I personally was not interested in storing for a long time. I simply wanted to store over night and pitch my yeast the next day. I have several corny kegs. Would there be any problem in running my wort into a sanitized corny keg over night and pitching my yeast the next day? Any advice would be greatly appreciated. I think that would be fine. You might want to purge the headspace of the keg with CO2 while the wort is still hot, though. Thanks for the great set of articles Chris! For a dopplebock I started back in December 2013, I decided I wanted to carbonate with gyle at bottling time. Based on some things I read (can’t remember where I read them now) I saved out 1 qt. of wort, and ran it through a boiling water canner(not pressure cooker), then refrigerated it. 48 hours later I did the boiling water canner again. The theory was that the 48 hours would allow any spores that survived the first treatment to start growing and then be killed by the 2nd treatment. I don’t know how valid the theory is. I did not take a pH reading. It stayed refrigerated for about 3 months before bottling. It worked, but after reading your articles, if I ever do it again, I think I would freeze the wort. The double heat treatment might do the trick, although I’d find some reference for times and temperatures to be sure if I relied on that. With small amounts of wort, you can always reheat immediately before use — just 5 minutes at 185 °F (85 °C) should denature any botulinum toxin. Dude, having tasted some rather off beers, this could have broader implications than just botulism . . . I was also in on the development of The Brewhouse high-gravity wort kit when I was technical rep for RJ Spagnols. We got around botulism there by treating the wort with phosphoric acid to drop the pH. After the high-gravity wort was rehydrated by the user, a packet of bicarbonate of soda was used to neutralise the acid. It was a pretty efficient hack. Chris – great article and one that really got me thinking (and worried). I do no chill but usually pitch wiin a week or two. One f the advantages to me of the technique is the ability to disconnect the brew day from the availability of the yeast. I don’t want to waste the opportunity to brew just because I did t have time to get the starter going beforehand. As you know, no chill is big down under where I hear folks routinely store wort for extended periods. Has there been any confirmed reports of botulism from this practice? I realize this May only be in the medical literature, but I’m curious if the risk is even more than theoretical. You don’t really need to worry. Protecting yourself against botulism is quite simple — just pitch the yeast ASAP. If you don’t have a yeast starter made, make one the day you brew and pitch it the next day (or the day after that). Or, use dried yeast for some or all of your pitch. I haven’t heard of any reports of “cubic botulism.” But then again, it’s rare enough that one wouldn’t expect there to be any yet. However, James recently corresponded with a scientist from the Center for Food Safety (University of Georgia) who described this as a disaster waiting to happen. I saw the patent application. If you read it, you’ll note that none of the scientific papers he cites deals with hops and botulism. So, it’s just a guess as to how much — if at all — hop compounds will suppress _C. botulinum_. A patent application isn’t a scientific paper. I can apply for a patent for a machine to resurrect Elvis Presley. That doesn’t mean the machine works. I haven’t found any evidence that this patent was granted or the idea has been put to use anywhere. It would be nice if hops suppressed botulism, but there’s no evidence — beyond wishful thinking — that it does. But I don’t do extensive research in this topic and also English is not my native language so I can misunderstood something. Until there are at least a couple studies published in peer-reviewed journals, conducted by researchers without a financial stake in the matter, I wouldn’t put too much stock in this. I certainly wouldn’t risk my life on account of it. It is interesting, though. And if it’s true, the hop industry has a financial stake in seeing that it gets properly tested. Given that the patent was applied for over 10 years ago, and nothing (apparently) came from it, that doesn’t bode well for its veracity. Having a patent accepted is not a comment on the scientific quality of ideas. Patents protect the legal rights of people who have invented something in the eventuality that they ever make any money from it. In science, preliminary ideas don’t always pan out. (In fact, more often than not, they don’t pan out — even when there is a spoonful of data to suggest that they might work.) Some of the graphs in the patent application looked promising, but even an optimistic read showed that not all hop treatments eliminated the bacteria. There’s also mention of an unnamed “surface active agent” that need to be applied with the extract in order for it to work. Given that it is literally a life or death matter, I’d like to see some solid evidence in support of this idea before I put too much stick in it. Thanks, its more clear now. You are right, this could be a revolutionary thing in food industry. Especially if it works in low quantites. What are the mechanisms that encourage or allow production of the Botulism spores before the wort is boiled? This must occur on the grains or during the mash somehow, correct? Whatever these mechanisms are, do they explain why the chances of getting Botulism poisoning from aged wort are so low? For example, can the Botulism bacteria produce spores at mashing temperatures? I think that how Botulism spores would get into the wort pre-boil deserves some discussion. Thanks for these articles, Chris! Very enlightening. I recently brewed a batch of honey mead (first timer). After going back and reading up on different ways to brew I noticed many said to use a “tall boy” glass container for fermentation. I actually uses sterilized plastic juice jugs (soap and boiling water several times and let air dry) and “burped” them daily while “brewing”. Within 24 hours they started to get bubbles when I burped them and every time I opened the lids to do so they gave the sound and reaction of a can of soda being opened. One jug I portioned out in to glass mason jars and put in the fridge. I added a little peach schnapps to for a flavor. Myself, my girlfriend and her oldest daughter all drank some last night around six p.m. to eight p.m. I have hear botulinum toxin usually takes 12 to 16 hours to kick in. I only drank about half a mason jug, while my gf and her daughter drank a whole one. I also made sure that we didn’t consume the sediment at the bottom of the bottles. My main question is after all my preparation and the fermentation of the product (I have some jars in the fridge and four more jugs still unstrained or in jars.) Did I do it alright and is there a risk of botulinum toxin carcinogen possibly present in the batch we just drank or in the other jugs? I don’t feel different or sluggish (no symptoms as of yet). Your prompt response would be appreciated. Due to problems in one of our fermenters, we had to stock a large quantity of wort in a cold room at 3° C. I was thinking of reusing the wort, after 10 days of storage, evidently after boiling it again for an hour. However, I am afraid of contamination with C. botulinum. What do you think about this? If you were to try to make hard apple cider, and you didn’t sanitize everything perfectly, there would be no risk of botulism because apple juice has a pH of around 4? I‘m just paranoid that botulism will somehow ruin my cider, and I just want to be sure.